The Mt Shasta Goddess Temple offers divination readings, candle burning ceremonies, classes, retreats, and other services in cooperation with our sponsor The Sacred Well. For more information, please see below or Contact us. In cooperation with our sponsor The Sacred Well, Mt Shasta Goddess Temple Priestess Yeshe offers intuitive readings and spiritual mentorship. Yeshe's readings are direct, accurate, compassionate, and specific. She will kindly help you navigate the waters of life with a distance session. In person, she is available most Mondays from 1-5pm at the Silk Road Chai Shop in Mt Shasta, and on Thursdays-Sundays from 12-5 at The Sacred Well in McCloud. Please see below for scheduling options if you'd like a personal reading, or Join the Temple to access weekly and monthly group ceremonies and divinations. The Mt Shasta Goddess Temple offers prayer and candle services at our altar for those going through personal difficulties. When you become a member of the Temple, you may submit your petitions, prayer requests, and intentions during our online Full Moon ceremonies, or you can choose to sign up for a monthly 7-day novena candle service. If you are unable to afford to join the Temple or to purchase candle services, you may submit your petitions free of charge to the Order of the Black Madonna to be lifted at their monthly Dark Moon service. The Mt Shasta Goddess Temple offers a year-long Woman Shaman Priestess training program for women who’d like to deepen their practice by connecting with ancient and living lineages of female shamans, priestesses, diviners, and dakinis. 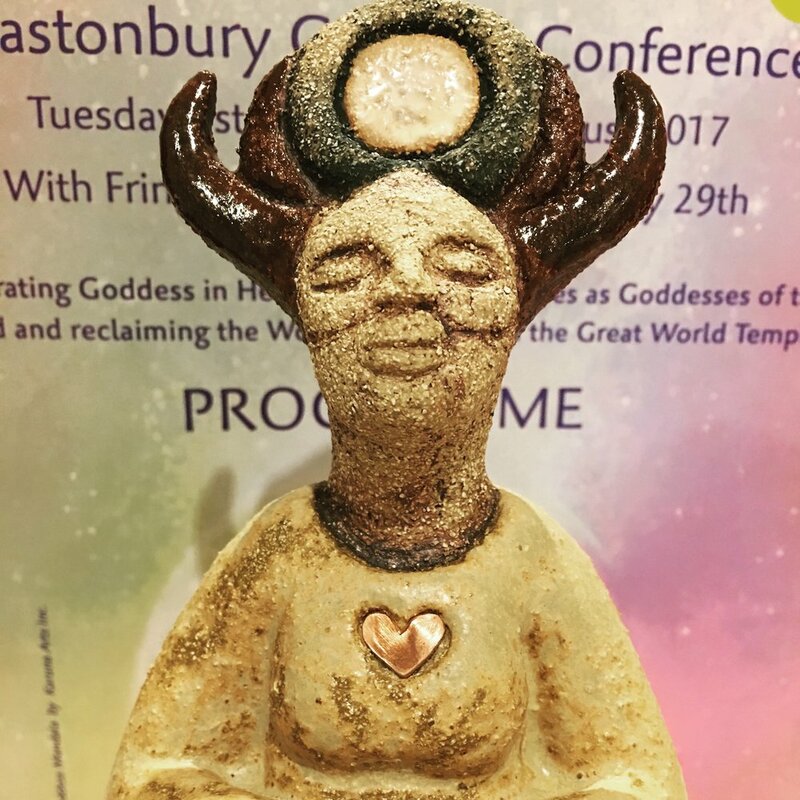 Classes focus on Goddess devotion, shamanic techniques, divination, myth, history, herbalism, and personal wholeness. This program is offered online via email and video conferencing, beginning in January each year. There is an optional in-person retreat in Mt Shasta each December. Priestesses in the Mt Shasta Goddess Temple complete this training, plus an additional year of study known as Flight of the Skydancer. The Mt Shasta Goddess Temple offers private, guided retreats and small group pilgrimages to sacred destinations in Mt Shasta and around the world. Past pilgrimages have included Ireland, Glastonbury, Tibet, China, and sacred sites within the United States. We are in the early planning phases for pilgrimages to the Temple of Kuan Yin in Amdo, Tibet, and to the sacred sites of the Virgen de Guadalupe and Santissima Muerte in Mexico. There is a trip to Glastonbury in 2019, and Greece in 2020. Mt Shasta Goddess Temple Priestess Yeshe is an experienced, ordained minister who has been performing weddings since 2004. She works with each couple to create a personal, meaningful experience that reflects their personalities, values, and style. Whether you are planning an elopement, a small wedding with a few family and friends, or a large event, Yeshe can help you plan a gorgeous, heart-centered experience. She will bring grace and ease to questions you might have about blending traditions, family dynamics at the event, how much or how little religious imagery to use in your wedding ceremony, and more. She can also offer practical advice about local businesses and service providers in the Mt Shasta area. Yeshe also provides other rites of passage, including coming of age ceremonies, baby and new home blessings, fertility and pregnancy rites, and memorials. Contact for details.